In versions 10.1.x and higher, WebClient uses a Flash application for attachment uploads. This application allows users to upload multiple files without requiring the user to open a new select dialog for each file, and the upload progress is displayed for each attachment. Log in to WebClient as a Domain Administrator to disable Flash for a particular domain, or as a Global Administrator to disable it for all domains. 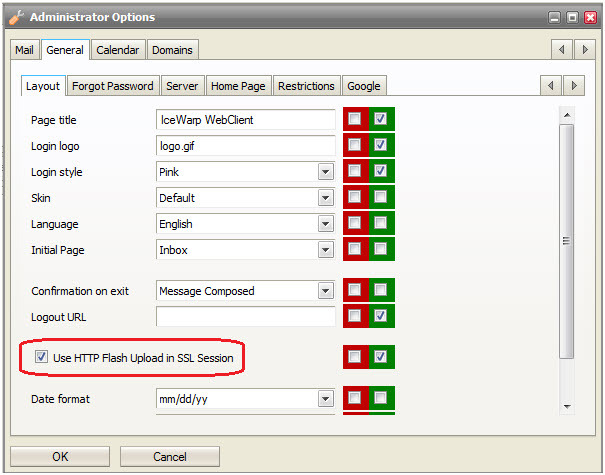 Navigate to the Tools-Administrator Options-General -Layout tab and uncheck the “Use HTTP Flash Upload in SSL Session” option. To disable it for all domains, check the red box as well. 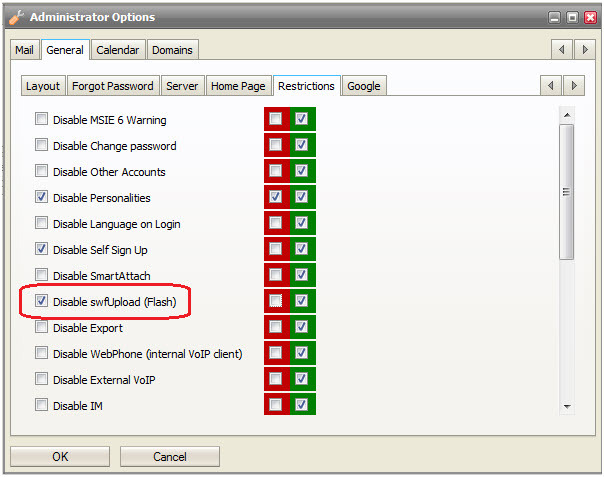 In the Administrator Options–General-Restrictions tab, check the “Disable swfUpload (Flash)” box. To apply this option to all domains, check the red box as well.